In August, 2004, 13 months after a Plaintiff filed in the civil court, a Defendant submitted a pleading to the civil court asking that jurisdiction be transferred in a divorce case to the Roman Catholic Church. The expert opinion shown here was provided to educate the civil judge about the pre-marital agreement to abide by the Roman Catholic Code of Canon Law. All couples who marry in the Catholic Church are agreeing to be married in accordance with the laws of the Roman Catholic Church, which specifies grounds and procedures regarding separation and divorce. In this case, the appellate civil court decided that waiting 13 months was too long after being cited in civil action in domestic relations court, to submit Defendant’s claim. The appellate civil court did not decide that the claim had no merit. 1. I presently reside in the city of […], Wisconsin. 2. 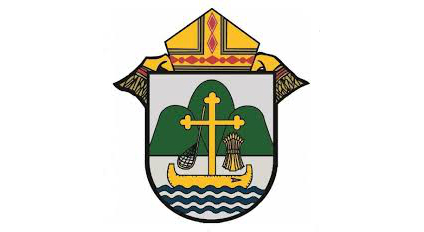 I am an expert in the area of Catholic canon law and currently serve as the Chancellor of the Catholic Diocese of La Crosse, WI, and a canon lawyer for the Tribunal of the Diocese of La Crosse. d) Master of Theological Studies (M.T.S. ), The University of Dallas, Dallas, TX. e) Pontifical Licentiate in Canon Law (J.C.L. ), The Catholic University of America, Washington, D.C.
4. As Catholics, to enter into marriage in the Catholic Church is to be introduced into an ecclesial order of spouses (cf. Catechism of the Catholic Church, Nos. 1631 and 1537). The public character of the consent protects the I do once given and helps the spouses remain faithful to it. 5. Among the effects of being incorporated into the ecclesial order of spouses is the assumption of certain rights and duties towards one’s spouse and one’s children. (See supra., Catechism of the Catholic Church, No. 1631). These rights and duties are governed by canon law. Even if only one party is Catholic, the marriage of Catholics is governed not only by divine law, but also by canon law, without prejudice to the competence of civil authority concerning the merely civil effects of the same marriage. 6. Among the rights and duties that bind those in the order of spouses are the duty and the right to preserve conjugal living unless a legitimate cause excuses them (cf. Code of Canon Law, canon 1151). 7. Before spouses may separate, the spouses have the duty and the right to follow the canons regarding the Separation (of the Spouses) with the Bond Remaining, the substantive law of which is found in Code of Canon Law, canons 1151-1155, and the procedural law of which is found in Code of Canon Law, canons 1692-1696. 8. It is undisputed that both Plaintiff […] and Defendant […] were practicing Roman Catholics prior to and at the time of their marriage ceremony, and continue to profess to be practicing Roman Catholics at present time. d) Were actually subsequently married according the Rite of Marriage of the Roman Catholic Church, officiated by a Roman Catholic Priest. 10. It is also undisputed that Plaintiff and Defendant did in fact contract marriage within the Roman Catholic Church through the proper Roman Catholic ecclesiastical form (Rite of Marriage) and thus were introduced into the ecclesial order of spouses, pursuant to Catechism of the Catholic Church, No. 1631. 11. Therefore, given the above points in law and in fact, it is concluded that Plaintiff and Defendant understood the rights and duties of marriage within the Roman Catholic Church and sought marriage within the Roman Catholic Church, which de facto includes the assumption of the rights and duties of the order of spouses (cf. Catechism of the Catholic Church, No. 1631), including those of separation of the spouses pursuant to Code of Canon Law, canons 1151-1155 and 1692-1696. 12. Therefore, it is also concluded that Plaintiff and Defendant, by virtue of their seeking and actually entering into marriage within and according to the laws and rites of the Roman Catholic Church, have de facto an antenuptial agreement to adhere to the rights and duties proper to the order of spouses, as governed by the canonical laws of the Roman Catholic Church, including those of separation of the spouses pursuant to Code of Canon Law, canons 1151-1155 and 1692-1696. Sworn and signed before me on this 30th day of July, 2004, by Benedict T. Nguyen having personally appeared before me, the undersigned Notary Public, and known to me or satisfactorily proven to be the person whose name is subscribed to the above Affidavit. I attest that the principal appears to be of sound mind and not under or subject to duress, fraud or undue influence.